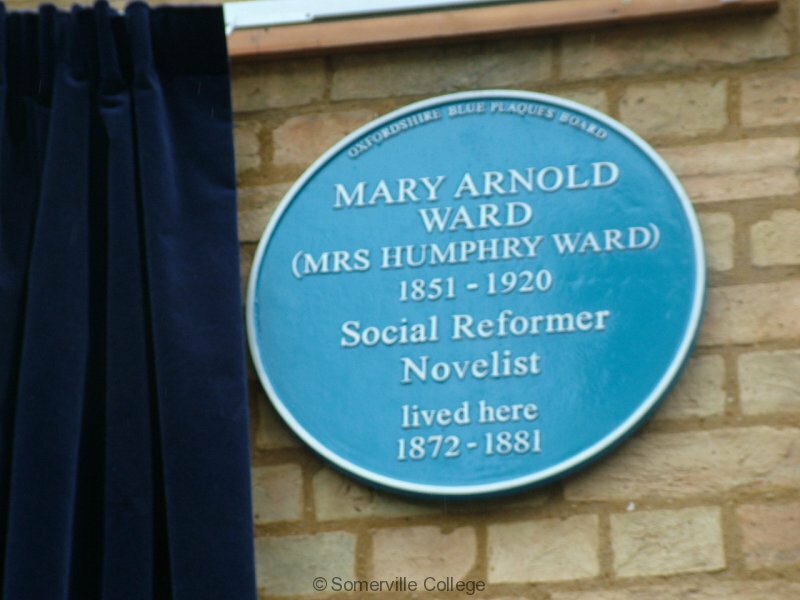 On Saturday 28th April 2012, one of the founders of Somerville College and its first Secretary of Council, Mary Ward (also known as Mrs Humphry Ward) was honoured in Oxford with a Blue Plaque on the house in North Oxford where she lived from 1872-1881. 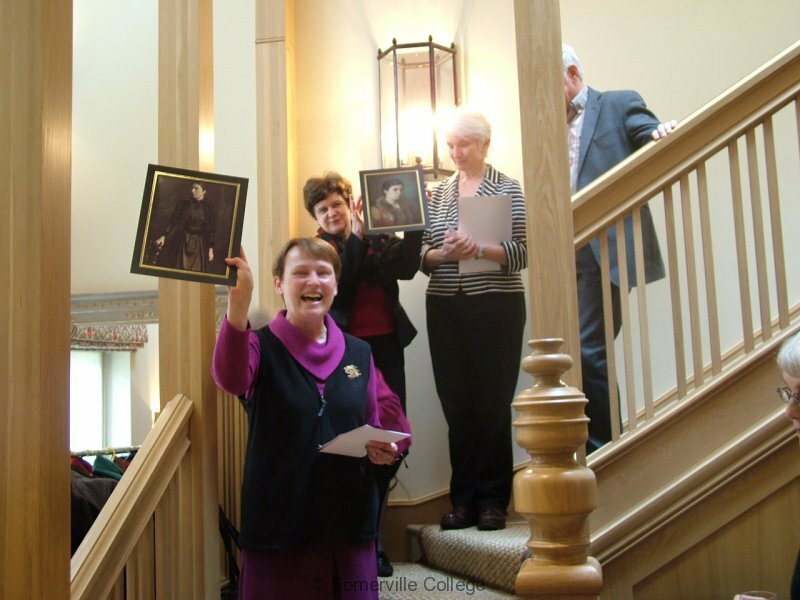 Somerville Principal, Dr Alice Prochaska, spoke to the assembled company about Mary Ward’s contribution to the development of higher education for women and presented the current owners of the house with two portraits of Mary Ward. Amongst the people at the ceremony were three great-grandsons of Mary Ward and two great-great granddaughters. This entry was posted in College Events, Somervillians. Bookmark the permalink.